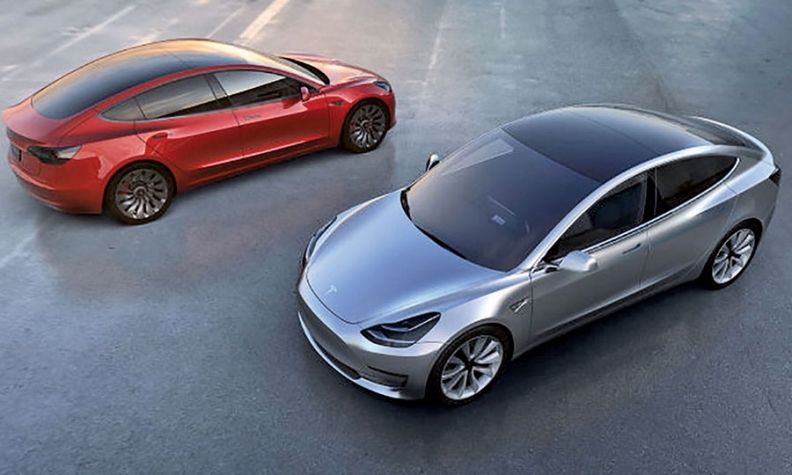 Tesla will sell the Model 3, shown, for prices starting at $35,000. AMSTERDAM – Fiat Chrysler Automobiles could build a rival to Tesla's Model 3 compact electric car with Italian flair if the business case makes sense, FCA CEO Sergio Marchionne said. Tesla unveiled the $35,000 Model 3 earlier this month. Company officials have said that advanced orders are approaching 400,000, according to various media reports. "I'm am not surprised by the high number of reservations but you have then to build and deliver them and also be profitable," Marchionne said on the sidelines on FCA's annual meeting in Amsterdam on Friday. Marchionne said he does not see a way to make the Model 3 profitable at a $35,000 retail price. He said that if Tesla CEO Elon Musk "can show me that the car will be profitable at that price, I will copy the formula, add the Italian design flair and get it to the market within 12 months." FCA sells a few thousand units a year of the 500e, an electric version of its 500 minicar, in selected U.S. states. The car is not offered in Europe or other global markets.